RAMALLAH, West Bank (AFP) – Palestinian leader Mahmud Abbas on Saturday was given a green light from the PLO to relaunch the Middle East peace process through US-brokered indirect negotiations with Israel. Israeli Prime Minister Benjamin Netanyahu welcomed the revival of the peace process after a 17-month hiatus and stressed his country's support for "talks without conditions so as to advance rapidly to direct negotiations." The Palestine Liberation Organisation's executive committee at a meeting in the West Bank town of Ramallah decided "to approve participation in indirect talks" with the Jewish state, Abbas adviser Yasser Abed Rabbo said. A majority of delegates at the umbrella group's meeting endorsed the "proximity talks," Abed Rabbo said, although the PLO appeared split ahead of the gathering between Abbas's dominant Fatah party and other factions. The endorsement "aims at giving the peace process a serious chance" and is based on US "guarantees and assurances concerning (Jewish) settlements, the danger they represent and the need to halt them," he said. "The United States will adopt a firm position towards any provocation which could impact the peace process and the negotiations," he added. Abbas later held his second meeting in as many days with US President Barack Obama's special Middle East envoy George Mitchell, who has been shuttling between Israeli and Palestinian leaders. The envoy was due to return to Ramallah on Sunday at 11 am (0800 GMT) for a final session before heading back to the United States. 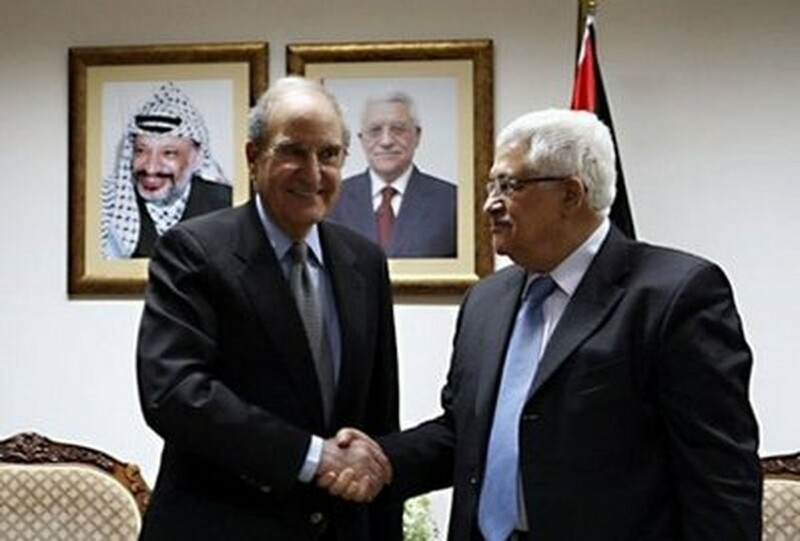 "Senator Mitchell in person will tomorrow (Sunday) announce the American position and the date for the start of negotiations," the Palestinians' chief negotiator Saeb Erakat told reporters. Mitchell is to orchestrate the planned four months of indirect talks in the form of shuttle diplomacy between Jerusalem, Ramallah and Washington. Abbas had balked at resuming talks with Israel without the backing of the Arab League and the PLO, which appeared split ahead of Saturday's meeting. "We believe that American promises do not represent enough of a guarantee that the process will produce real results," said Qais Abu Laila of the Democratic Front for the Liberation of Palestine. Hamas, the Islamist rulers of the Gaza Strip since 2007 after ejecting forces loyal to Abbas, denounced the PLO decision, with spokesman Fawzi Barhum saying the umbrella group "has lost all legitimacy." "This decision constitutes a new encouragement for the occupier and its settlement policies, serving only its interests and those of the Americans," Barhum said. Barhum accused Abbas's Palestinian Authority of taking "American money" to endorse the talks with Israel. Gaza militants later fired a rocket into southern Israel, the Israeli military said. It exploded in a field without causing casualties or damage. On Friday, Mitchell was told by Israeli President Shimon Peres that security must be a top issue in the talks, while the Palestinians have said they want the priority to be the borders of their promised future state. Expectations of significant achievement remain low in both camps. Israeli-Palestinian peace talks have been blocked since December 2008 -- just over a year after they restarted following a seven-year hiatus -- when Israel launched a deadly offensive against Gaza to halt rocket attacks. The Palestinians agreed in March to take part in proximity talks but then pulled out after Israel announced plans to build 1,600 homes in annexed Arab east Jerusalem. After receiving US assurances that the Jerusalem settlement expansion plan would be put on hold, the Palestinians eventually agreed to consider a new attempt at proximity talks and secured Arab League support on May 1. The Palestinians want east Jerusalem, which Israel captured from Jordan in the 1967 Middle East war, as the capital of their promised state, but Israel considers all of the Holy City to be its "eternal and indivisible" capital.